The Felguera plant this year celebrates 77 years of activity; a space dedicated to the process of producing and manufacturing acetylsalicylic acid; installations at which Bayer decided to make a big investment to improve and adapt the facilities. We are talking about a space at which the production of 100% of the world’s acetylsalicylic acid, the main component of the famous aspirin, is currently concentrated. Thanks to the REM integrator, GESAB was able to enter as an investor in the project that sought to adapt the facilities with innovative and ergonomic solutions. 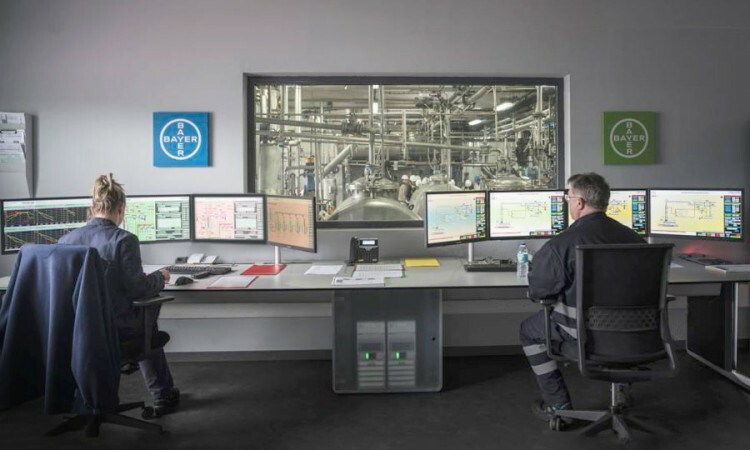 The small control centre was created on the basis of two positions for operators in charge of managing and controlling the plant’s production process. Advantis NG consoles were selected for the project thanks to their great wiring management capacity and because they offer the user a spacious and clean work surface to facilitate their day-to-day work. The operator work stations are completed with 24/7 ergonomic supports for monitors and chairs, in a clear commitment to health. The room, completely branded for the Bayer Group, has two sides of the consoles customised with the recognisable logo of the international firm, a differentiating element that helps to achieve an aesthetic balance in the environment. The new control room of the historic La Felguera plant now has complete production control facilities. A space where technology and innovation are present with the Bayer seal to take on the next challenges of the future. About Bayer: Bayer is a biological science company with over 150 years of history and with core competencies in the fields of health and agriculture. The production of 100% of the world’s acetylsalicylic acid is currently concentrated at the La Felguera plant in Langreo, Asturias. Design and installation of customised technical furniture. Advantis NG consoles, ergonomic supports.